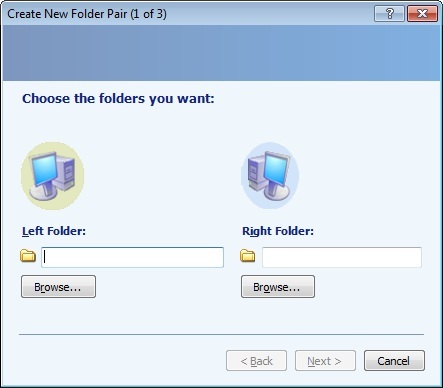 Do you have a need to frequently access folders and files on a laptop or other computer that is not turned on 24/7? If this is you, you’ll know that you usually have to turn on the laptop and wait for it to boot to a state that allows you to access the data. 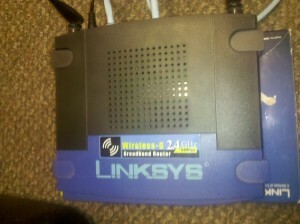 This could be as quick as two minutes or as long as 10 minutes, depending on the age of your hardware. Even worse, if your battery is low and no ac power is available to plug in the laptop you may have to wait even longer. 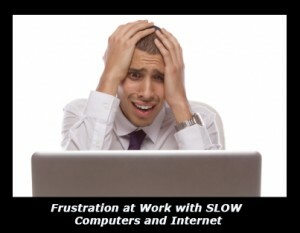 You don’t have to wait anymore, there is a solution to your data accessibility problems! 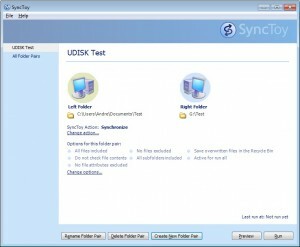 You can copy those folders and files to a usb memory stick and, not only will you be able to access to the data from another computer, you will also have a “live” backup just in case something ever happens. 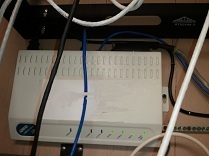 On a small memory stick with a small amount of data it is possible to perform the data copy operations and keep the data synchronized manually. As your data grows however, the process will eventually become difficult to manage in an effective way. Just the need to answer “Yes” or “No” to every overwrite dialog could make a regular copy operation turn into a nightmare. 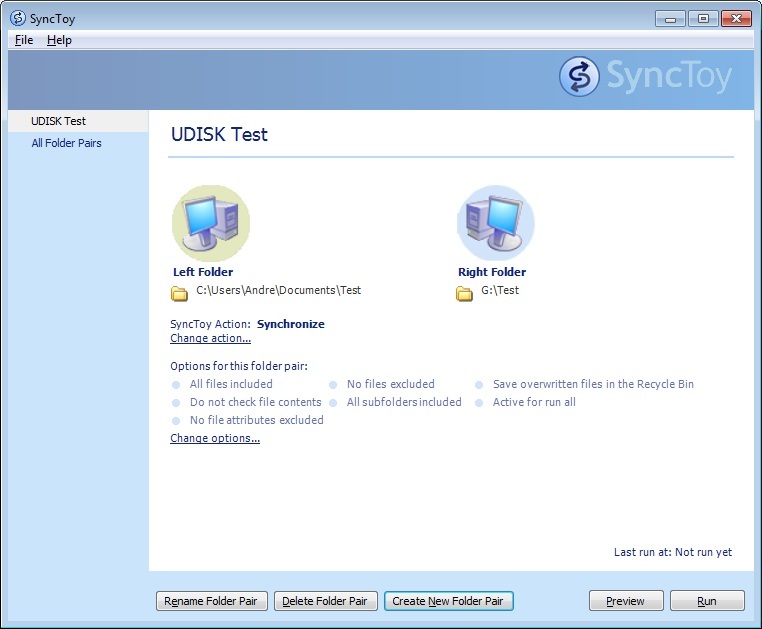 For this example we will use a “Test” folder with the “left” folder on the local hard drive and the “right” folder on a thumb drive. 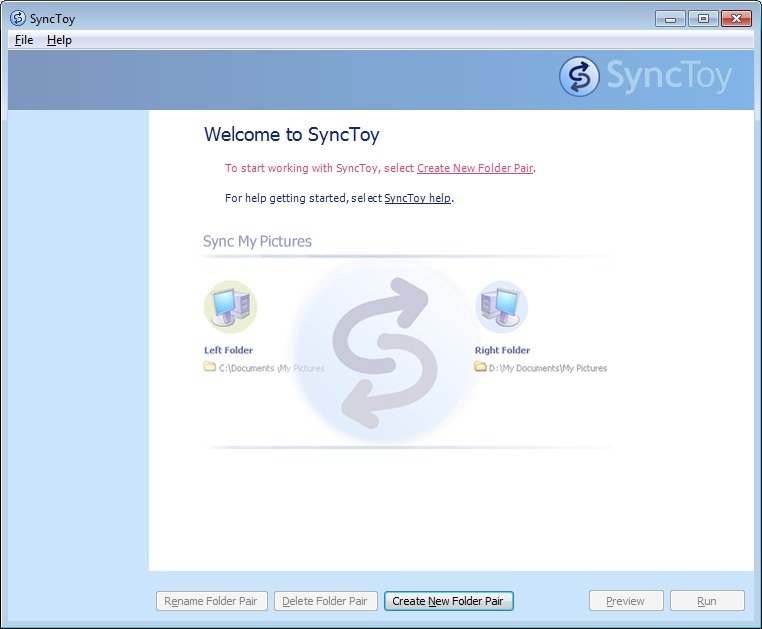 If a folder does not exist on the right folder destination, SyncToy allows you to create the folder as needed. 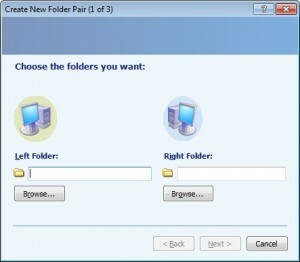 Once you have folders set, you will be given a choice to Synchronize, Echo, or Contribute. 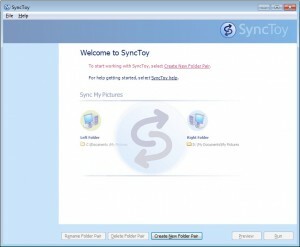 For most applications you should Synchronize. You should carfully consider each option to get the best result. Here are the definitions of the options. Now name your pair. This should be a simple name, yet descriptive of the pair. The simpler you keep your pairs, the easier it will be to maintain them. Now you simply need to run the pair(s) as needed, or put them on a schedule, but that is a topic for a future blog post. my PC Techs provides expert computer consultants to your Arizona business. Let us help your business save money and increase productivity. Call today (602) 456-0150 for a free consultation. 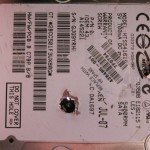 A hard drive is a small box inside of computer equipment that may contain sensitive information such as usernames, passwords, credit card information, social security numbers, etc. If you are upgrading to a new computer (desktop computer, laptop, office copier, etc.) 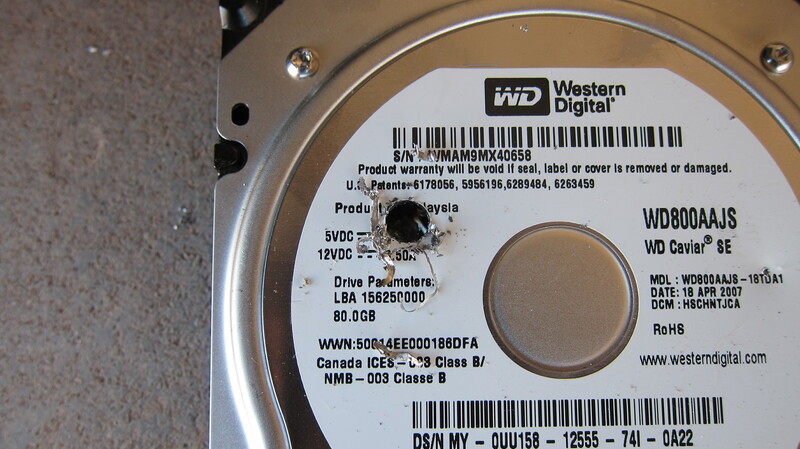 always remove and destroy the hard drive before selling, donating, or recycling any computer equipment! 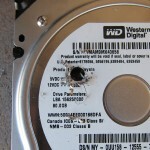 Failure to destroy the hard drive before giving the computer away could result in sensitive information ending up in the hands of the new owner, who will then be able to copy old files and go through your personal information stored there. These methods are ideal, but they usually cost money. 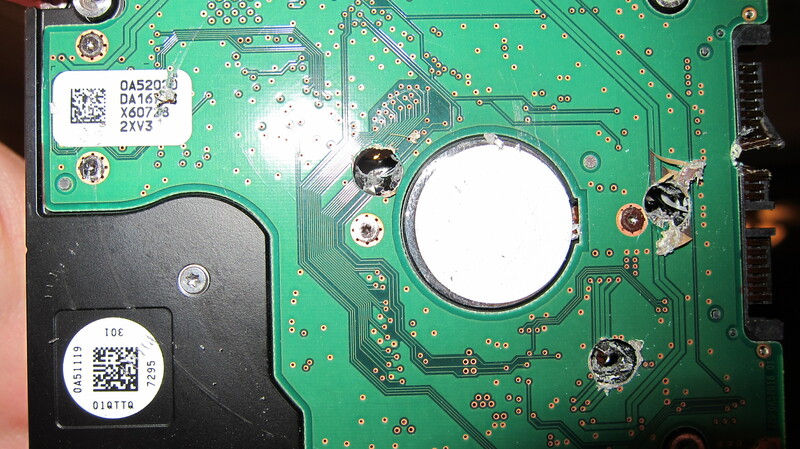 Professional destruction of a hard drive could cost $70 or more in some areas! 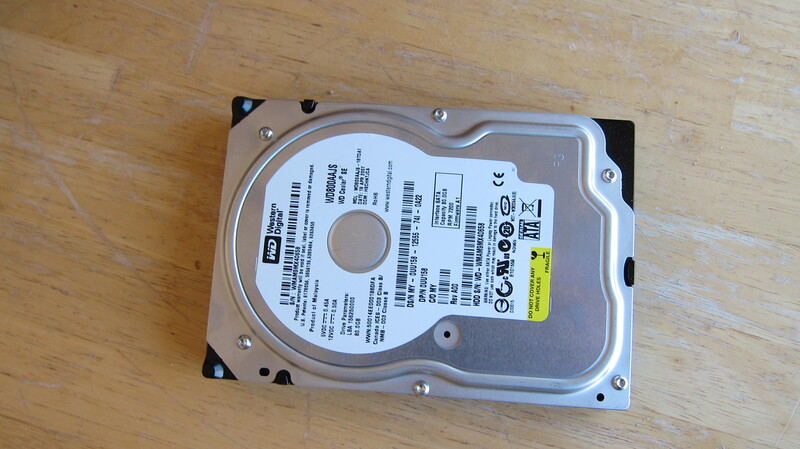 So what is a low cost method to dispose of the hard drive and keep your personal data safe if you are low on funds? Considering you have all the right tools, this method won’t cost you a dime and is a very secure way to get rid of a hard drive while keeping your data secure. Step 1: Wipe it! Wiping a hard drive in essence destroys the data by writing over it with random characters. There are many free utilities to help, a good one is Active@ KillDisk. You can download the free utility from their website, click: Active@ KillDisk. This free software overwrites all of the data on your old hard drive with random characters and WILL DESTROY ALL OF YOUR DATA! Be sure you have performed a complete backup and have transferred the data from your old hard drive to your new system before wiping it. Step 2: Remove it! 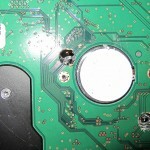 Physically remove the hard drive from the system. This is usually the easy part, you’ll just need a screwdriver and a little patience. 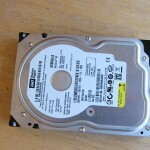 Keep in mind that you will still be able to sell or donate the old computer without a hard drive missing, just be sure to let the new owners know in advance that they will need a new hard drive and operating system. 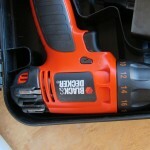 Step 3: Drill it! 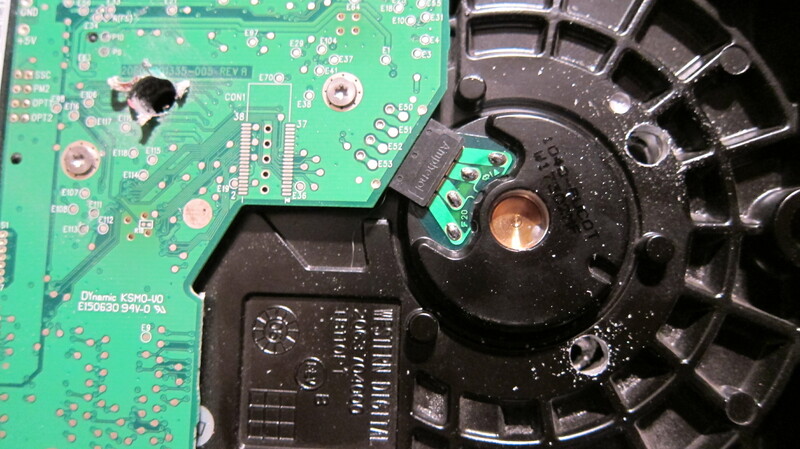 If you plan on using the old hard drive again, skip this step. Otherwise it’s best to physically destroy the old hard drive just to be 100% certain that the old data is completely destroyed. This step is not only fun, depending on how much personal data you had on the old drive it can also help you sleep better at night. 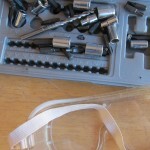 Wearing protective goggles, gloves, and a dust mask for your mouth and nose take a drill and a metal drill bit to the drive. You’ll want to drill through the drive completely from one side to the other, and you’ll want to do this multiple times. 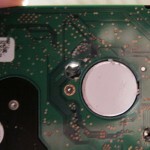 Two important areas for you to drill through are the platters and the controller board. See examples in the below images. Hard drive from an old computer, data already moved to new computer and ready for destruction. A few things you should have. 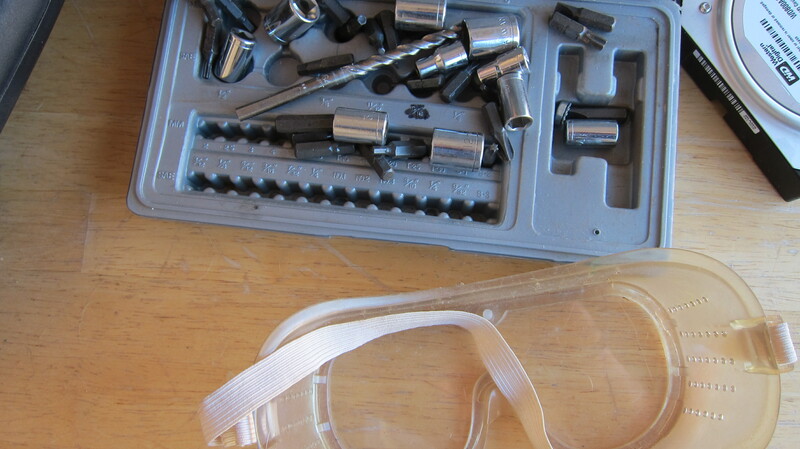 Drill bits, eye protection, gloves, mouth and nose protection. 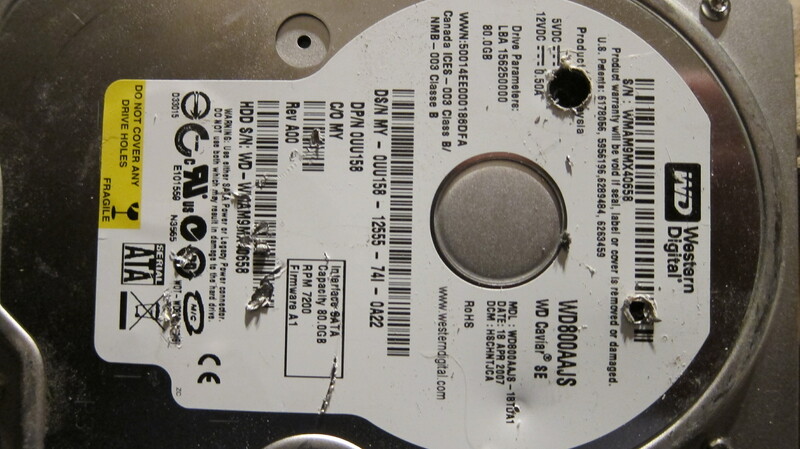 Hard drives contain many round platters inside that store the data. Drill through them. 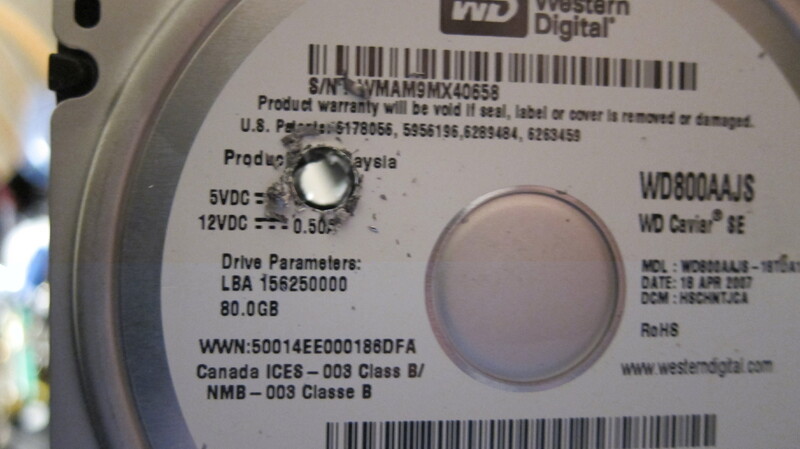 In this example, the drive has been drilled through one side to the other. You can see the light behind it coming through. 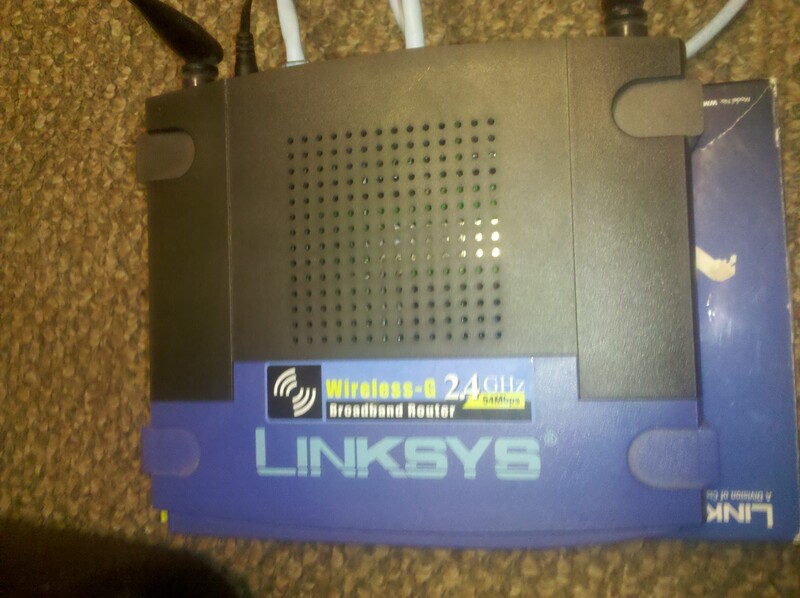 The green area is the controller board. Drill through that as well. 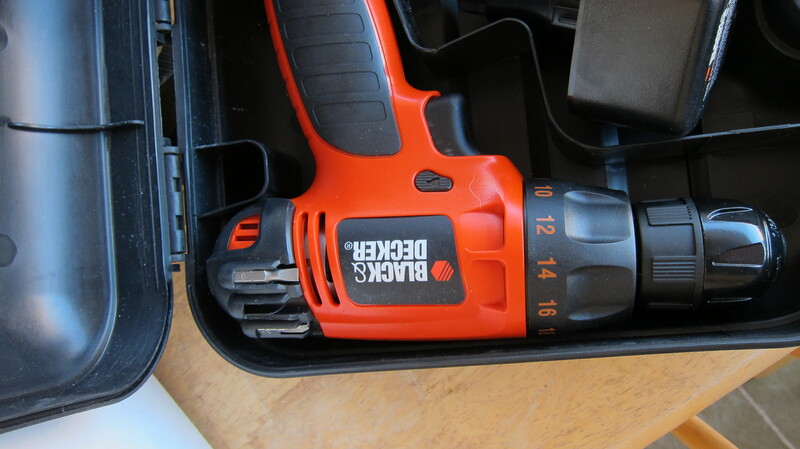 Don’t stop with just one hole, drill several times through the drive. 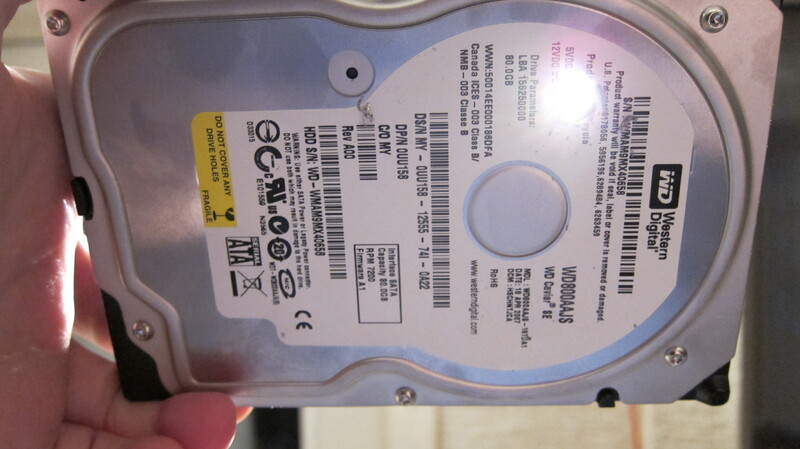 The last hard drive was a 3.5″ desktop drive. 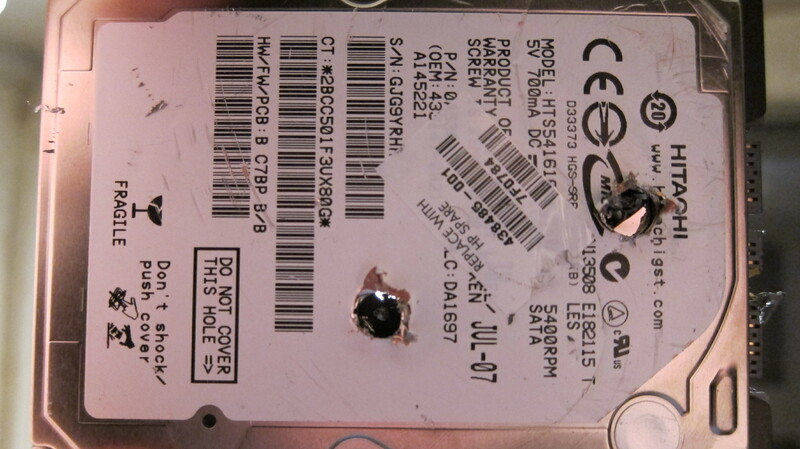 You can drill 2.5″ laptop hard drives the same way. 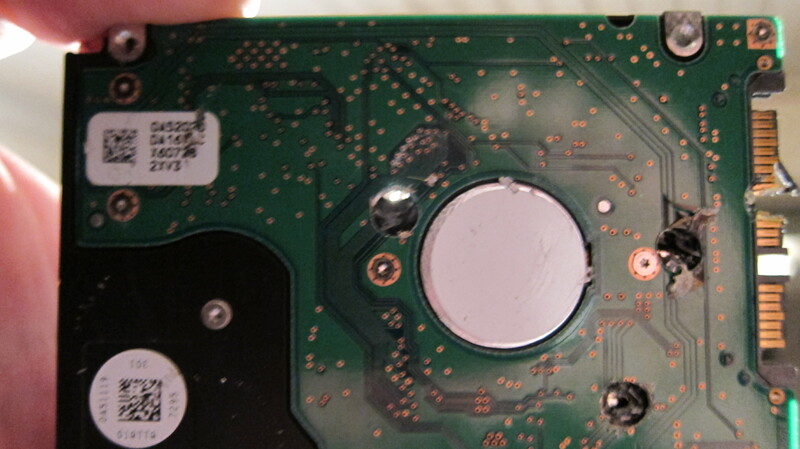 This laptop hard drive has a much larger controller board on the bottom, but is easier to drill through. Can you remember when you last backed up the data on your computer or your server? Most people reading this article will not have a quick answer because most people do not have an established backup plan in place. However, lack of a backup plan could turn into a real problem for you down the road. Think about what you might lose if you lost your computer in a fire or your hard drive suffered a catastrophic failure. You might lose family pictures and videos, important financial and tax information, music collections or worse. At my PC Techs we have heard and experienced many horror stories about individuals losing an entire lifetime of converted images, home videos, and financial documents. We have been contacted by business owners that have had to close their doors and stop all production because they experienced a server hard drives crash and had no reliable backup to restore it from. If you’re scrambling to find out how to perform data backups, don’t worry. It can be very easy to produce and secure a reliable backup. First, you’ll need to purchase an external hard drive. 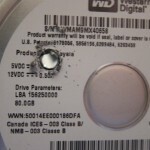 External hard drives with USB or Firewire connections are available online, at local computer stores, and even in most large office supply stores. Western Digital and Seagate make reliable external drives to use for backup and come recommended for their reliability. 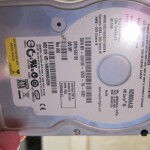 If you’re uncertain as to what hard drive to purchase, it is a good idea to look at reviews and to find recommendations from others. 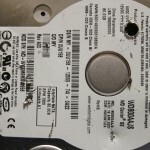 A good resource for hardware reviews and to purchase external hard drives online is Newegg, http://www.newegg.com. Also, when you select a backup device, be sure to locate one that has enough space for all of the hard drives on your system. Some external hard drives come bundled with backup software, but we caution you against using that software to perform a backup as most of these programs do not have an option for full partition or full disk backup. A full partition backup is critical when you need to recover from a system failure in a hurry. 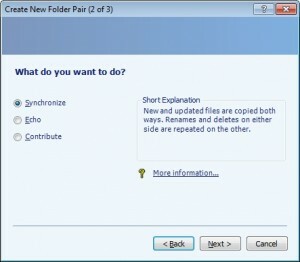 We recommend that you download and install a free* software tool called Easeus ToDo Backup. 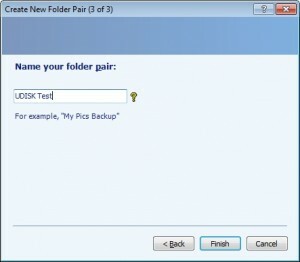 After installing Easeus, look for the backup option named full disk & partition backup & restore. Support and instructions on the use of Easeus Todo Backup can be found in the Support section of the site linked above. Perform a complete system backup of your entire computer, including all hard drives, to the external hard drive. Once you’ve performed a full disk backup using Easeus, you should check that the job completed without error and confirm that you have a full and complete backup of your data. Some of those horror stories we talked about earlier were from people who presumed that everything was fine with their backup when in fact it was not. Errors and problems can occur with backup software just like anything else. Be sure to check your backups on a regular basis and ensure that they are complete. For additional data protection, consider purchasing a second external backup hard drive and using that to rotate backups. 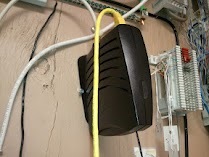 Store the second backup drive at a separate physical location from the first, to protect against theft or fire. 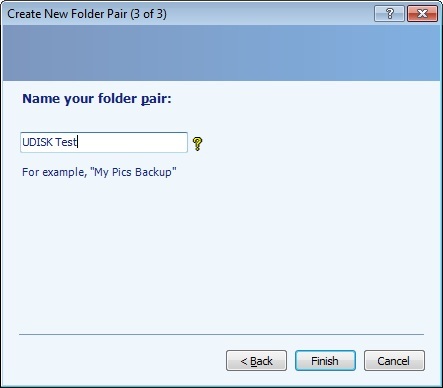 *Easus ToDo Backup is free for home use only. Small & medium business workstations and server versions require an additional payment.